A home in Paradise, California ablaze by the flames of wildfire Camp Fire. ​​The Camp Fire, a wildfire originating just north of Paradise, California, has been devastating northern California throughout the month of November, quickly becoming the most destructive and deadliest wildfire California has ever experienced. 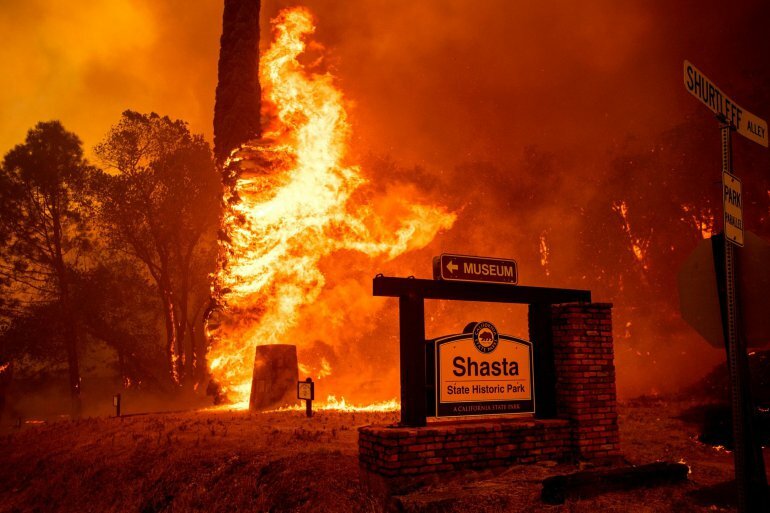 The severity of Camp Fire tops the prior deadliest wildfire in California, the Tubbs Fire, that nearly destroyed the city of Santa Rosa in October of 2017. Since the Camp Fire began at 6:30 AM on November 8th, the death toll had risen to 48 in only three days and nearly 200 people were missing, according to the San Francisco Chronicle. 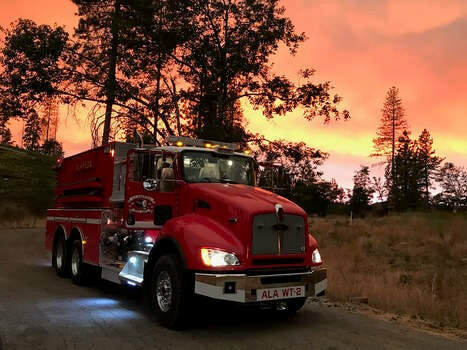 After spreading its explosive flames over 135,000 acres, the fire has been contained, as firefighters dug a trench surrounding the fire’s perimeter in order to prevent flames from spreading. In less than 24 hours, Camp Fire left homes, grocery stores, restaurants, and many other structures completely destroyed. Over 75,000 people were forced to evacuate their homes, and many ended up losing their homes to the demolition of the roaring flames. According to National Public Radio, Butte County Sheriff Kory Honea even stated that town officials requested over 100 National Guard troops to help search for more missing bodies. Within the past month, Camp Fire has gone on to completely devastate the town of Paradise. The destruction left behind in Paradise, California by Camp Fire. ​Originating in the Sierra Nevada foothills, Camp Fire, along with many other wildfires in California, is common to this region due to the Santa Ana and the Diablo Winds. The Santa Ana and Diablo Winds are a weather event most common in the downslope region of the Sierra Nevada mountains during the fall and winter seasons. These strong downsloping winds originate from cool and dry airmasses located at the top of the mountains, usually associated with a high-pressure system. 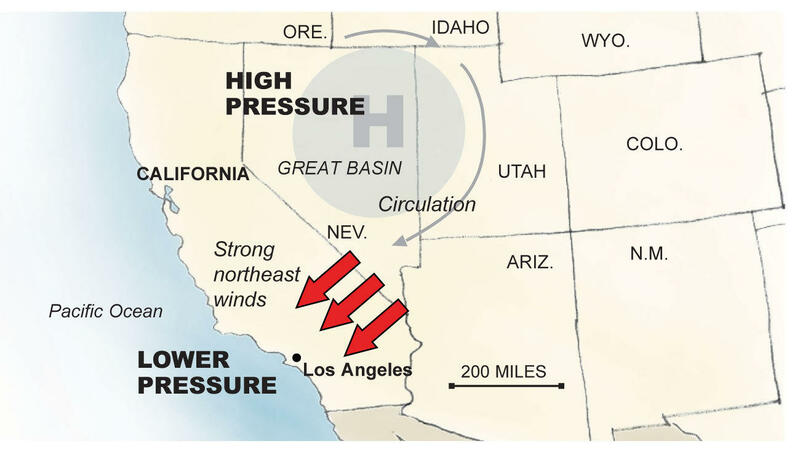 Initially, this surface high pressure system associated with cool air, diverging winds, and clockwise rotation, develops over the Sierra Nevada Mountain Range. These winds then flow down the slope of the mountains, compressing and thus warming as they descend, creating strong hot and dry winds. As these winds continue to flow eastward, they lower the relative humidity within the air and dry out the region. The winds may then flow through the canyons with gusts up to 40-50 mph, causing turbulent air and unpredictable conditions. Because California is already a relatively dry area, these hot dry winds are able to dry vegetation enough to spark wildfires in woodland areas, as well as increase the impact of already existing wildfires in areas nearby. The impact of the Santa Ana and Diablo Winds on wildfires in California can lead to even further rapid spreading of many future wildfires and increase their threat to Californians. ​The severity of fire hazard zones across the state of California. ​As of November 15th, at around 9:30 am, the Camp Fire had continued to spread and burn over a total of 140,000 acres in this short time, as the wildfire was still only 40 % contained. Now nearly a month later, the Camp Fire is contained after burning over 153,000 acres of land, destroying the town of Paradise and leaving a death toll of 81, a number greater than the death toll of the three past deadliest wildfires in California all combined. The surge of the Santa Ana and Diablo Winds is a powerful force over the Sierra Nevada mountains. It is important for residents of California to be aware and stay safe as future wildfires may continue to spiral out of control. To learn more about fire weather, be sure to click here! 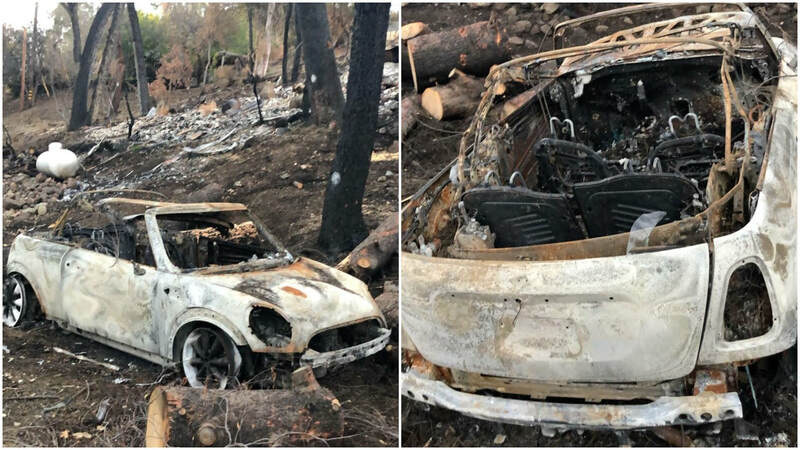 Damage caused to a vehicle that was engulfed by the Woolsey Wildfire just outside of Malibu Creek Park, CA. Photo Credit: Jake Di Giovanni. ​DISCUSSION: As Californians continue their recovery efforts from the recent Camp and Woolsey wildfires, many questions have been raised over the unprecedented intensity of these fires and what it means for the future of several California communities. And while they are nothing new to the region, the two most recent events have been regarded as being some of the worst wildfires in state history. Much like tornadoes and hurricanes, these natural disasters can instantly threaten any and all future development and projects for towns and villages. To understand what makes these wildfires a unique challenge for California every fire season, it is equally important to understand the ingredients that are required for all fires: heat and fuel. Rapid, sudden heat transfer on a dry, combustible surface can lead to a spark via anything from natural phenomena, such as lightning strikes, to human activities. Once a flame is produced, it will grow and shrink depending on the amount of fuel that is available; sources of fuel range from dry grasses and shrubs to entire forests and, of course, flammable structures. If left unchecked, an uncontrolled fire with sufficient enough fuel will take on a life its own, becoming a wildfire. In order for wildfires to be able to continue their expansion, they must have an untapped access to sources of fuel. As such, a wildfire’s greatest friend is the wind; if surface and near-surface winds are not strong enough to blow the embers of a wildfire into dry, unburned parcels of land, then they will simply land on smoldering remains and the wildfire will consume itself. This is where the infamous Santa Ana winds become a critical component for extreme wildfires. 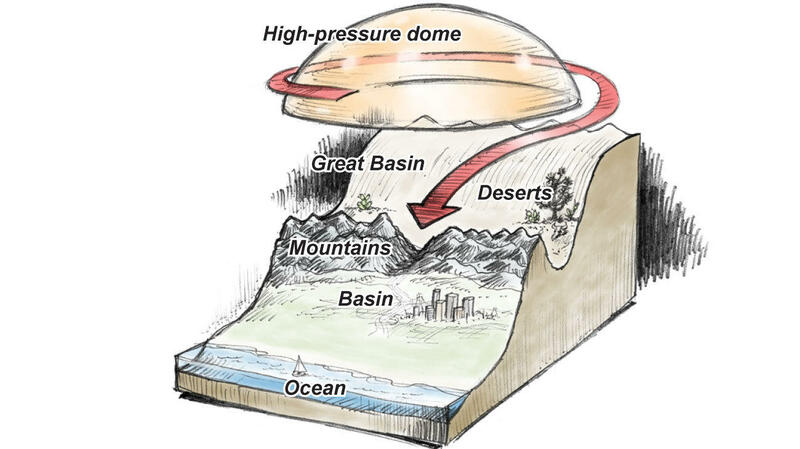 As katabatic winds, they occur when a dense, high-elevation air mass travels down to lower elevations via gravity. During the fall, synoptic-scale highs tend to develop over the Mojave Desert, and produce a clockwise flow over most of Southern California. As cool, dry air parcels travel downslope of the San Fernando and San Gabriel Mountains and into the LA Basin, they gain momentum and heat up, permeating over the urban and natural barriers of Southern California until they reach the coastline. As such, these hot, dry, and fast winds help to fan otherwise small brush/grass fires, turning them into massive wildfires like the ones that were witnessed this year. It should also be noted that katabatic winds also develop in a similar fashion in northern California and are referred to as the Diablo winds. The synoptic-scale mechanisms involved in producing the Santa Ana winds. Photo Credit: Joseph Serna, LA Times. ​It’s for these reasons that fire season is such a dangerous time for those living downwind of both the Santa Ana winds in southern California and the equivalent winds in Northern California. When these katabatic winds are at their strongest, the smoke from these wildfires can travel well-beyond their sources and deteriorate air quality across vast distances. Moreover, embers from wildfires are transported through the air, flying across entire neighborhoods and physical boundaries, before settling on new and potentially flammable surfaces. As ABC reporter Morgan Windsor wrote in his article on the two wildfires, the Woolsey wildfire eventually crossed the 101, devastating several upscale towns on the other side of the freeway, including Malibu, CA, and Calabasas, CA. Uncontrolled wildfires can travel at up to 14-15mph, meaning that those who are in their immediate paths can physically see the landscape combust as before their eyes. Unfortunately, this was exactly what happened to residents in Paradise, CA, which was completely decimated and became the deadliest wildfire in California history, with 83 people pronounced dead at the time of this publication. The mechanics behind the Santa Ana Winds in Southern California. Photo Credit: Joseph Serena, LA Times. ​With cleanup efforts currently underway all over the state, many questions have once again been raised regarding the risks that wildfires pose to vulnerable communities that are already dealing with a struggling housing market. As writer for the LA Times Liam Dillon recently wrote in her piece on the California housing crisis, thousands of homes have been destroyed this year alone due to wildfires, some of which were caused by human activity. On top of that, the state's depleted housing stock has only worsened the crisis, and could pose further challenges for the development of areas that are located in at-risk areas. As such, these communities may have to start to consider increasing fire awareness and safety in order to limit any future wildfires from reaching the same levels of destruction as what has been seen this year. Indeed, the state of California will soon need to address these economic issues head-on in order to ensure that recovery efforts can continue smoothly and that homeowners in communities like Paradise, CA, are as informed as possible when it comes to wildfire safety. Unfortunately for California, these natural disasters will never go away, as they are as integral to the climate of the state as tornadoes are to Tornado Alley, or as hurricanes are to the Gulf Coast. Thankfully, local fire stations, emergency services, and forest management will continue working together to handle these sorts of emergencies. As for the residents of the state begin returning to their lives, the best thing they can is to become more knowledge about wildfires and ensure that they do their part in preventing unintentional, man-made burns in the future. To learn more about fire weather and fire weather education, be sure to click here! © 2018 Meteorologist Gerardo Diaz Jr. DISCUSSION: On November 8, a wildfire began in Butte County, California as the area was under very dry conditions due to a lack of rain for much of Northern California. The Camp Fire, as it is known, spread rapidly as a result of dry conditions and high winds in the area. 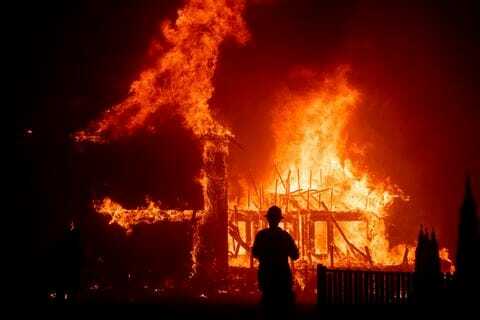 In its destructive state, the Camp Fire engulfed the town of Paradise as well as costing 84 civilian lives. The Camp Fire destroyed or damaged nearly 14,000 buildings many of which were single family houses. In addition, about 800 residents from the area affected by the fire were reported missing. The fire was officially contained on November 25 after burning over 150,000 acres of land. The cause of the fire is still under investigation as it was started right near the power lines of Pacific Gas and Electric (PG&E) in Butte County. Among the meteorological conditions that helped the fire spread the smoke, was due to a persistent ridge of high pressure that was there for almost a month and a half. The ridge of high pressure was blocking much of the storms from the Pacific to climb up towards Oregon and Washington which led to the really dry October for much of Northern California. In addition, the ridge had played a factor in the smoke in the Bay Area as it kept much of the smoke blowing into the Bay Area rather than a sea breeze from the Pacific Ocean. Also, the ridge affected the smoke by keeping it close to the surface due to the subsidence, or sinking air, that is often affiliated with a ridge of high pressure. 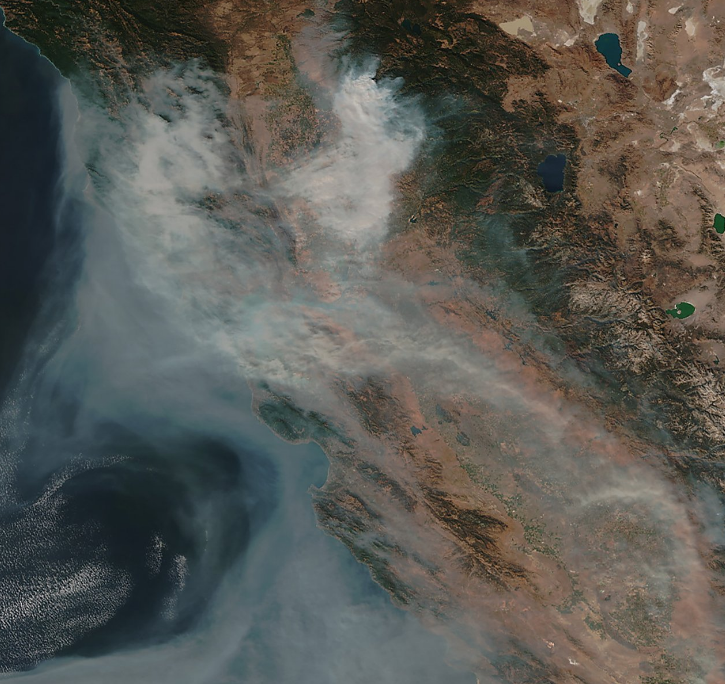 The smoke from the Camp Fire had reached the San Francisco Bay Area on the same day and continued for almost two weeks due to a persistent ridge of high pressure over California. The smoke had caused major problems in the Bay Area such as causing the 2.5 μm (micrometer) particulate matter (PM2.5) to be measured at unhealthy levels which led to the cancellation of many schools and colleges as well as several high school football playoff games. In addition, the high levels of smoke and particulate matters led to heavily reduced visibility at airports including San Francisco International Airport where there were lengthy delays due to the visibility. The Camp Fire is the most deadliest fire in the past century in the United States since the devastating 1918 Minnesota fire in which over 400 people died. How are the Current Central and Southern California Wildfires Are Impacting Air Quality Issues? DISCUSSION: Over the past 24 to 48 hours, a good portion of central and southern California has witnessed some of the worst wildfire activity over the past 5 to 10 years and then some. As a result of this devastating wildfire activity, there is been a corresponding increase in the amount of smoke generated by the wildfire is which included the Camp Fire and the Woolsey Fire. The tweet attached above shows recent S-NPP VIIRS images which encapsulate recent views of the central and southern wild fire smoke plumes. It is worth noting that although the destruction has been nearly absolute in many towns and cities which has forever change the lives of thousands of people in the path of the flames, there is still more to the story than just the wildfires alone. More specifically, the smoke plumes generated by the wildfires have been so dense at times the data nearly blocked out the sun during the peak times of the day across various parts of central and southern California. Therefore, as a result of this increased smoke presence via the wildfire persistence, this has led to air-quality issues as well due to the overwhelming amount of wildfire smoke which has persisted and enveloped parts of central and southern California. This is a serious health hazard for thousands and potentially millions of people in and around the immediate wildfire threat zone because of the variable presence of respiratory conditions such as asthma or lung defects. Hence, it goes without saying that the increased wildfire smoke is a real and legitimate threat to many people in the path of the regardless of whether they are in perfect health or a compromised health state. For these reasons, it is imperative to heed the advice of local officials and listen to the recommendations from emergency management officials as well in terms of the actions you should take both during and ahead of any wildfire threat both now or in the future. There is no debate that wildfires are one of if not one of the most destructive natural forces on earth and should be taken incredibly seriously regardless of how near or far you are from a given wildfire which is occurring at a given point in time. However, if one is prepared for such an event, it can make surviving and mitigating the impacts much more likely in many cases. Thus, the moral of the story is to always be prepared and be ready for the worst but hope for the best. To learn more about other fire weather-related issues/topics, be sure to click here! DISCUSSION: The intense heat generated by wildfires causes air to rise. To replace the rising air at the surface, air must converge. Sometimes as it converges, it begins to rotate. Similar to an ice skater pulling in her arms, as this rotation gets squeezed smaller, it speeds up. Nevertheless, most rotation generated by fires (called fire whirls by the National Weather Service) is relatively weak and/or occurs far from populated centers such that they don't cause much additional damage already generated by the fire itself. 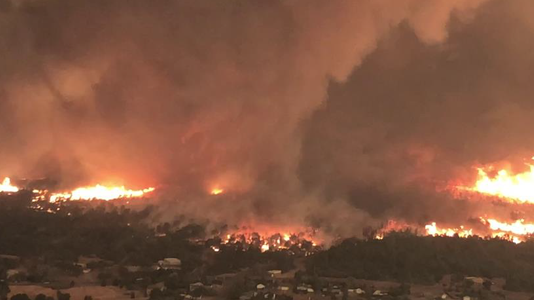 Such was not the case for a fire whirl generated by the Carr Fire in California on July 26, 2018 (pictured above). This particular whirl (dubbed a "fire tornado" by the California Department of Forestry and Fire Protection) had wind speeds of up to 165 mph, equivalent to an EF-3 tornado, that destroyed homes, trees, and transmission towers. In addition, two fatalities were attributed to this fire whirl. It also lasted a lot longer than typical fire whirls of ~80 minutes. There were a lot of pictures, videos, and data collected near this fire whirl that scientists are now combing through to try to better understand the conditions that spawned this intense whirl and perhaps better predict their occurrence in the future. However, small, transient circulations in the atmosphere are very difficult to predict when only atmospheric dynamics are at play. But, here there is an interplay between atmospheric and fire dynamics, making understanding this fire whirl even more challenging. In addition, documentation of fire whirls this intense are rare, further complicating our understanding of these events. What scientists do know is that while damage caused by this whirl is comparable to a tornado, the conditions and forces that generated it are far different that those governing the more typical formation of tornadoes from supercell thunderstorms. Hence, the National Weather Service is hesitant to call this event a "fire tornado." In addition, we cannot say this event was caused by climate change. Climate change occurs on a much larger space and time scale than this fire whirl. In addition, it is possible that these types of events occur more often in rural areas where they are more difficult to observe, and there is less to damage, thus inhibiting an accurate estimation of intensity. Nevertheless, there is still much to be learned about fire whirls, in particular these high-intensity ones. As the summer season comes to an end, it is important to note the many extreme weather events that have been and still are occurring worldwide. 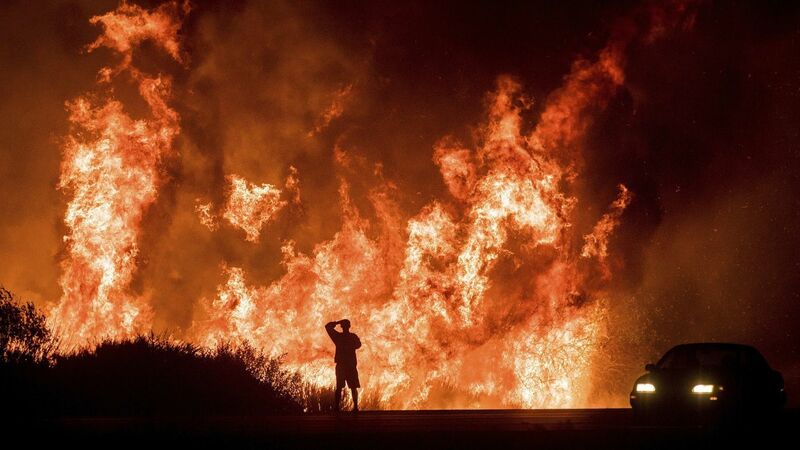 Wildfires have ravaged the American West and much of Europe; heavy rainfall caused extreme flooding on the US East Coast; a hurricane barreled towards Hawaii; and extreme heat caused deaths in large metropolitan areas such as Montreal and Tokyo. While none of the aforementioned events can be attributed to any specific cause, it’s important to note the role climate change may have had in the frequency of these events and draw attention to what is speeding up the process of climate change. One of the biggest factors in climate change does happen to be carbon emissions. It is thought that the emission of carbon dioxide and other greenhouse gases offsets normal climatic processes by blocking incoming solar radiation, thereby having an indirect influence on extreme weather events. After a plethora of extreme weather events worldwide this summer, the state of Washington has decided to add a carbon tax to this November’s ballot. If passed, the state would be the first in the nation to establish such a tax via voters. The plan has come to be known as Ballot Initiative 1631, and with the tax set at $15 for every ton of carbon dioxide released, it’s expected to generate over $2 billion in the first five years. The tax will tax some of Washington’s largest industrial polluters. Revenue will go towards the production of energy efficient fuels, such as wind and solar, and related industries throughout the state. The project also plans for the mandatory allocation of one-quarter of its funds to protecting the state’s forests. A smaller portion of the revenue will go towards transitioning communities away from economic dependence on fossil fuels and protecting the most vulnerable communities in the state from climate change. While there seems to be some consensus pointing to a mostly positive outcome of the tax, a relatively prevalent opposition movement threatens the passage of the initiative. Dana Bieber told The Atlantic “regardless of what you say about a carbon fee or a carbon tax, it’s intended to be paid by consumers”. Bieber was referring to the notion that the state’s largest polluters will suffer economically. The price tag would eventually trickle down to consumers, says the non-partisan think tank Resources for the Future, adding over 10 cents a gallon to the price of gas and 15 cents a gallon to the price of home-heating oil. Initiative supporters, backed by the state’s government, say that the policy would cost residents at most $10 a month with much of the money being granted back to communities vulnerable to climate change and in economic despair. Whatever the outcome of the November election, it is important to note how the current weather in Washington may play a role in the election. Wildfires, some of which have been burning since late July, have plagued many rural and forested areas statewide. Several media outlets, such as the Yakima Herald and Heavy.com, allow users to track the status of fires with digital maps displaying the locations of the fires and individual statistics. It was reported on August 12th that fires in Washington and Oregon combined burned over 250,000 acres, prompting an elevated risk of wildfire weather early in the season and into the Fall, when wildfire season peaks. While the wildfires have burned in mostly forested parts of the state, a huge bulk of the population has felt the effects of the storm, possibly influencing Initiative 1631’s chance of passage. Seattle has reported extremely low air quality, according to a Daily Mail interview with Seattle residents, with some Seattleites going as far as noting Beijing’s infamous air quality as being better. Prevailing weather patterns on the windward side of the Cascades have heavily influenced Seattle’s summer haze. Unless Seattle’s rainy season arrives earlier than the average late Fall/Winter peak, the city’s residents could be in for a long stretch of diminished air quality and hazy conditions. It’s safe to say when Ballot Initiative 1631 is up for election this November, voters in Washington will be keeping in mind the physical, topographical and climatic status of their state. Want to learn more about wildfires? Check here! The Carr fire is now the second most expensive wildfire with an estimated $25.4 million is suppression costs. This estimate does not include costs associated with damage from the fires. The death toll of the Carr fire has risen to six. The fire that has ravaged over 110,000 acres and continues to burn has prompted the action of over 3,600 fire personnel. With over 500 structures already impacted, the California Department of Forestry and Fire Protection say nearly 5,000 more are in immediate threat from the fires. As in most cases the current and future weather conditions are aiding in the future spread and limited containment of the fire. The combination of high winds, high temperatures, and dry vegetation has aided in conditions that are prime for fire growth. The Carr fire has been burning since the beginning of last week. It was likely started by a car that suffered mechanical failure. One positive note is that the containment is up from 5% to nearly 27% as of early this morning. The National Weather Service (NWS) in Sacramento predicts very hot and dry surface conditions are in concert to create an environment that will allow this fire to continue spreading even with light winds. Relative humidity values less than 15 percent and maximum temperatures in the middle 90’s are expected across the area. The highest threats are near the city of Redding and surrounding areas where irregular spreading of the fire is possible. It is also important to remember that fire behavior is difficult to predict, and wildfires can generate their own micro scale wind circulations and produce higher winds near the fire itself that are different from synoptic winds. Discussion: Dangerous wildfires have been burning through multiple states in the West over the past month. These wildfires have burned over one million acres of land across fourteen states according to the National Interagency Fire Center. The hot temperatures and the dry weather that the western parts of the United States have endured have been one of the primary catalysts for these wildfires breaking out. These weather conditions have given firefighters a hard time with containing these wildfires due to the dry vegetation and blowing winds allowing for erratic fire behavior. In California, there are currently 5 active wildfires that are burning. The largest of these is the Carr Fire in Shasta County north of Redding, CA, which has burned 98, 724 acres, and is twenty percent contained. The River Fire and Ranch fires in Mendocino County, CA are both wildland fires and have burned 35,076 acres and 20,911 acres respectively in that area. The fires in Mendocino County are five percent contained. The Ferguson fire is a vegetation fire near Yosemite National Park that has burned 54,481 acres and is thirty percent contained. Parts of Yosemite National Park were closed as a result of the fire. 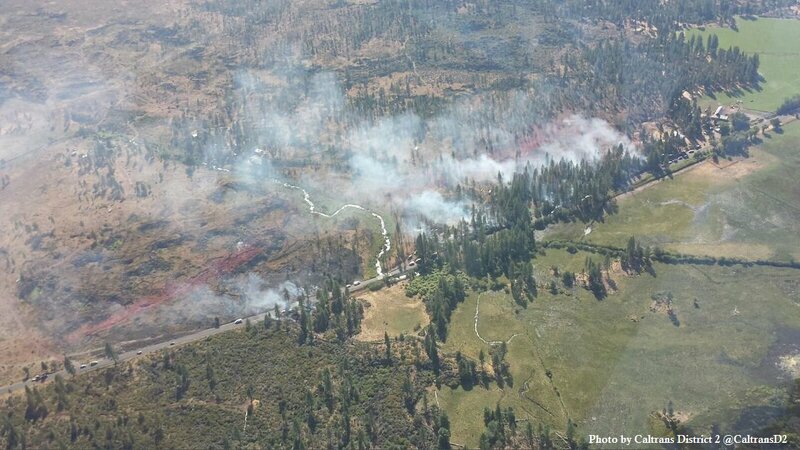 The Whaleback fire in Lassen National Forest has burned 14,098 acres and is twenty percent contained. All of these wildfires have prompted mandatory evacuations across many parts of the state. Other states are battling wildfires as well. Multiple states across the western United States are currently battling one or more fires. Four states Alaska, Oregon, Colorado, and Arizona are battling ten or more wildfires. In total ninety fires have occurred in the month alone. According to the National Interagency Fire Center, this is an unusually high amount of fires for July. With the advancements in satellite technology, meteorologists are able to detect where the smoke from these fires is traveling. Using the GOES-16 satellite, meteorologists can see what locations the smoke from the fires is being carried to. Using the shortwave infrared channel on the GOES-16 satellite meteorologists can pick up hot and small fires. During the daytime, the visible channel can aid in fire detection by picking up on wind changes and also see hotspots from the fires flaring up in different parts of the state. Wildfires are not just a danger on the ground. The smoke from the wildfires currently burning is affecting the air quality across the western region. Poor air quality is dangerous for many sensitive groups like the elderly, young children and those with compromised immune systems. If you are apart of one of the sensitive groups it is vital to limit your exposure to wildfire smoke. It is also important to take steps to protect yourself from the fires and the smoke and to follow the safety orders and evacuations issued by the authorities. It is also important in these weather conditions to exercise caution when using items that could ignite a fire i.e. cigarettes, campfires, and brush clearing equipment, as any small fire could spread rapidly. To learn more about fire weather and fire weather education, be sure to click here! What causes wildfires, and how can you protect yourself from the dangers that occur? In recent weeks, California firefighters are continuing to struggle with containing a blaze that is ripping apart nearly 9,300 acres of land near Yosemite National Park in the Sierra Nevada Mountains. While this is a frightening event, unfortunately it’s a normal occurrence and harsh reality for many people living in the western part of the United States. Many people may feel powerless and unsure of how they can help. It is crucial to know what causes these wildfires and how citizens can protect themselves, their families, as well as their property. The biggest initiator of wildfires is due to human activity. It has been stated by the National Park Service that as many as ninety percent of wildfires are caused by campfires being left unattended, the burning of debris or leaves, negligently discarded cigarettes, and intentional acts of arson. Fortunately, in some states, legislation has been passed to prohibit acts of burning leaves on property, as well as the time of year of doing so. In Massachusetts, for example, the timeframe of burning leaves is from January 1st to May 1st and only from 10:00 AM and 4:00 PM. It also must be at least 75 feet from buildings. However, even though this law is enacted, there are still twenty-two areas in Massachusetts that prohibit the act of burning leaves completely. Another cause of wildfires is due to lightning. Lightning is described as having two components - dart leaders and return strokes. The leader is the build-up of positive charges on the ground beneath the cloud, attracted to the negative charge in the bottom of the clouds. The return streaks of light are a series of strokes that produce the actual lightning bolt or flash that we see. There are two types of lightning which are described as “cold lightning” and “hot lightning”. Cold lightning is a return stroke with intense electrical current but of relatively short duration. Hot lightning has currents with less voltage, but these occur for a longer period of time. Fires are usually started by unusually long-lasting hot lightning bolts. Wind is also impactful on creating wildfires. For example, in California there is a phenomenon known as the Santa Ana winds. These winds are strong, extremely dry down-slope winds that originate inland and affect coastal Southern California and northern Baja California. They originate from cool, dry high-pressure air masses in the Great Basin. Santa Ana winds are known for the hot, dry weather that they bring in autumn but can also arise at other times of the year. They often bring the lowest relative humidity of the year to coastal Southern California. This low humidity, combined with the warm, heated air mass, plus high wind speeds, create critical fire weather conditions. Also known as "devil winds", the Santa Anas are infamous for fanning regional wildfires. Homeowners in wildfire prone areas should keep all of this information in mind, as well as taking their steps to prevent the spreading of these fires. First off, homeowners should remove combustibles including firewood, yard waste, barbecue grills, and fuel cans from their property. Before evacuating, close all windows, vents, and doors to prevent a draft. Shut off natural gas, propane, or fuel oil supplies as well as filling any large containers (such as pools, hot tubs, garbage cans, or tubs) with water to slow or discourage fire. Homeowners should heave warning from local first responders, police and/or firemen for when to evacuate. You should never stay and try to put out the flames yourself, as the flames can engulf properties in mere minutes. While fire season is a scary event for anybody - people that live in wildfire prone areas should be knowledgeable on what to do, try to remain calm if they are asked to evacuate as well as to be safe at all times.